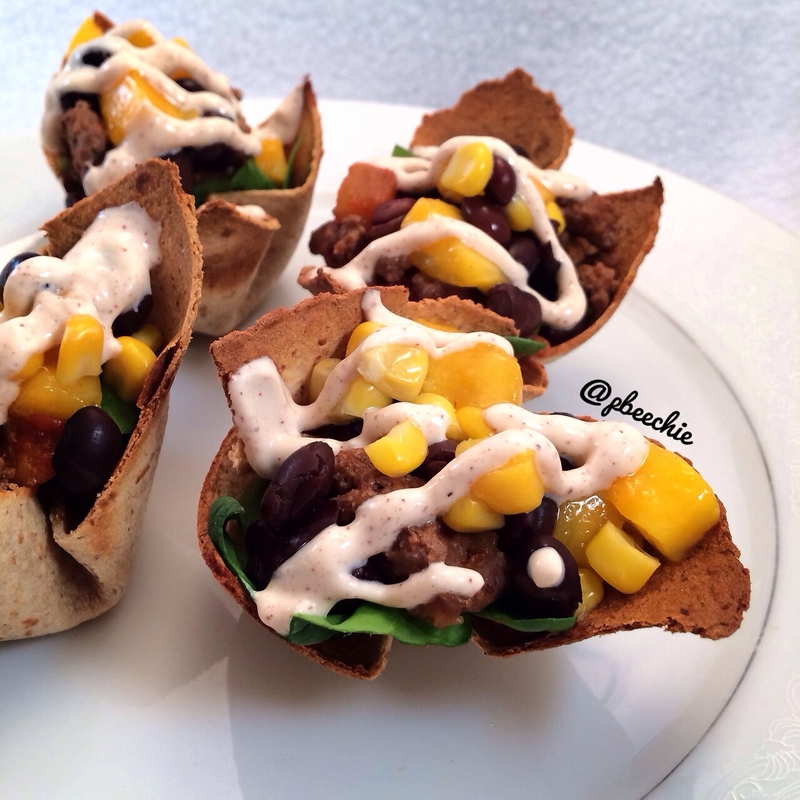 Mango Lime taco bowls topped with a chipotle chili cream. In small taco bowl form because finger food is fun food! Preheat the oven to 375 F. Cut 1 tortilla into 4 even triangles. Spray a muffin pan with a nonstick spray and place a triangle into each mold. Bake at 375 F for 10-12 minutes until the tortilla crisps. Remove. Place some spinach in the base of each tortilla bowl. Mix the cooked bison with salsa and distribute amongst the bowls. Mix the corn, mango, black beans, and juice of the lime. Place this mixture in each tortilla bowl. Make the chipotle chili cream by mixing the greek yogurt, chili powder, stevia drops, and a splash of almond milk to thin. Then top each bowl with some of the cream. Serve!